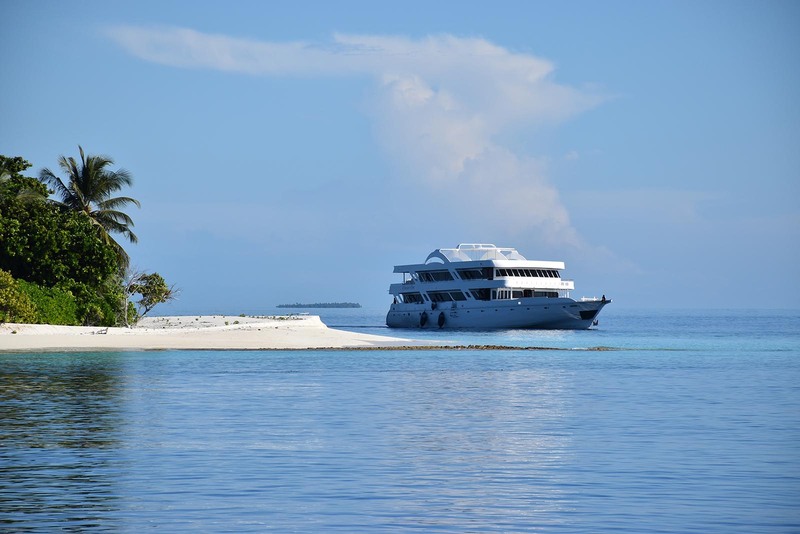 Ocean One is the ideal upper class surfing cruiser in the North Male Atolls that is a perfect option for those travelling solo, as well as small groups. 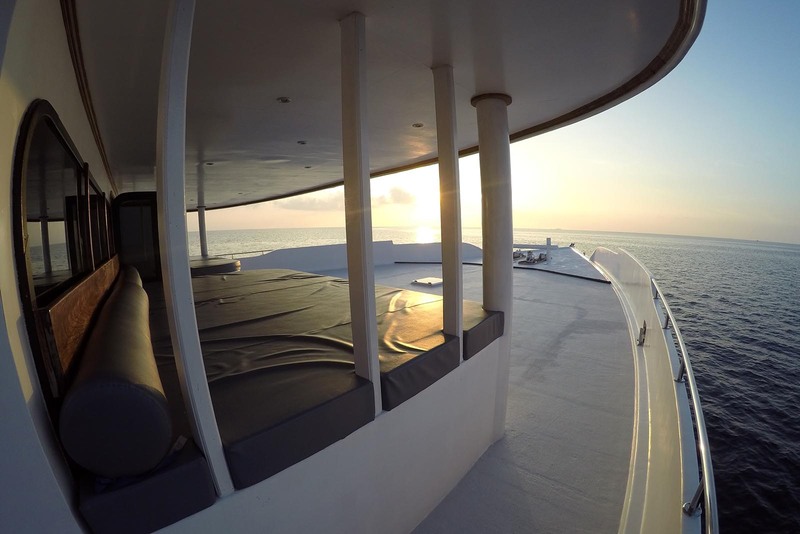 This gorgeous 37m long by 12m wide fleet has 4 decks. 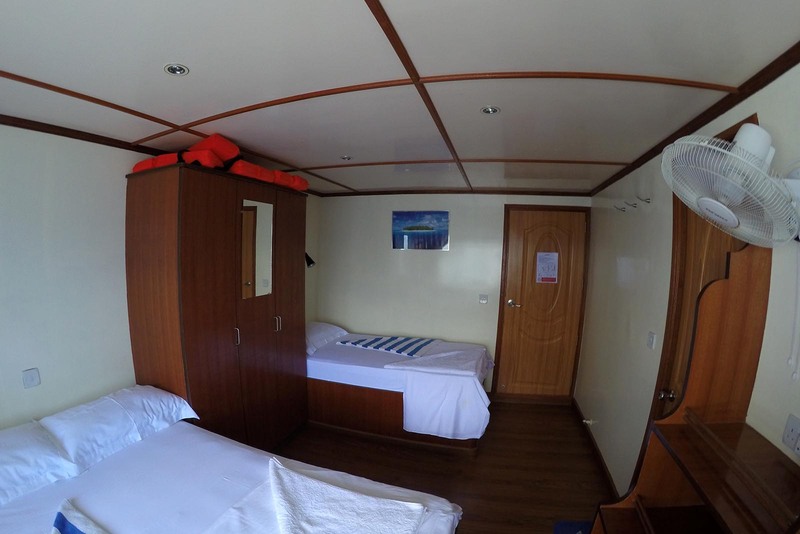 The lower deck has 7 cabins, with an additional 3 cabins on the upper deck. 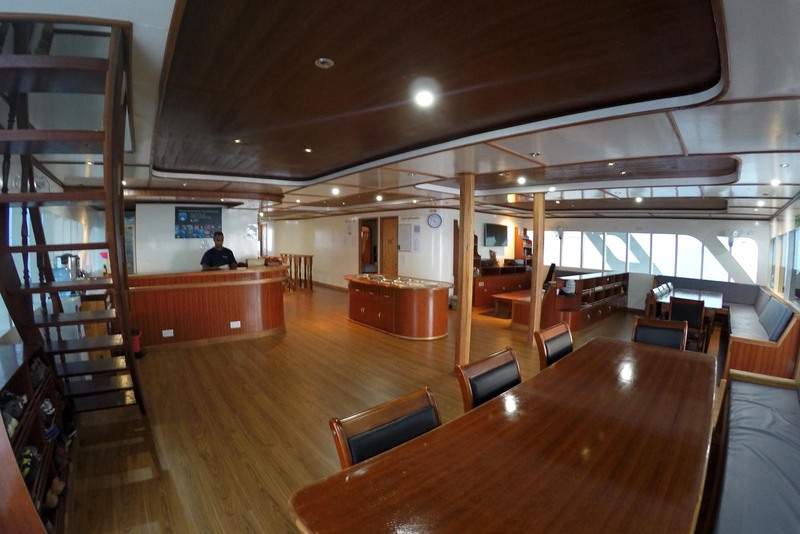 Situated in the main deck is the restaurant, library and lounge. The lounge is kitted out with a TV, DVD player along with comfy seating for guests to relax on. 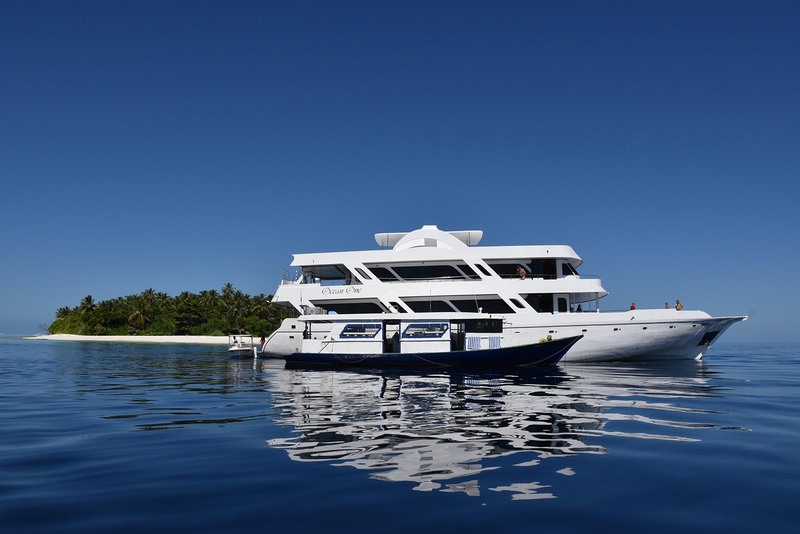 The Boat since its maiden voyage, has cruised and explored all the routes of Maldives, where the experienced crew and the dive guides, make sure that passengers have the best diving experiences. 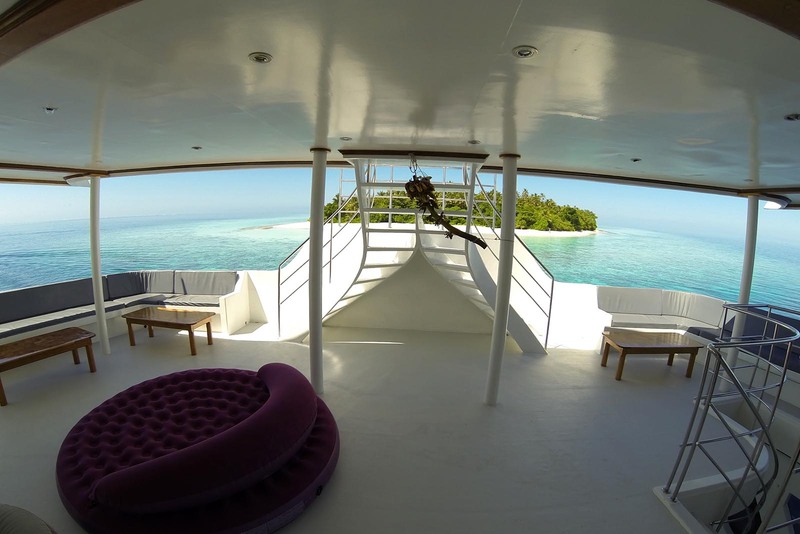 Those on board can also surf the sunny days away and really maximise their time in the water. 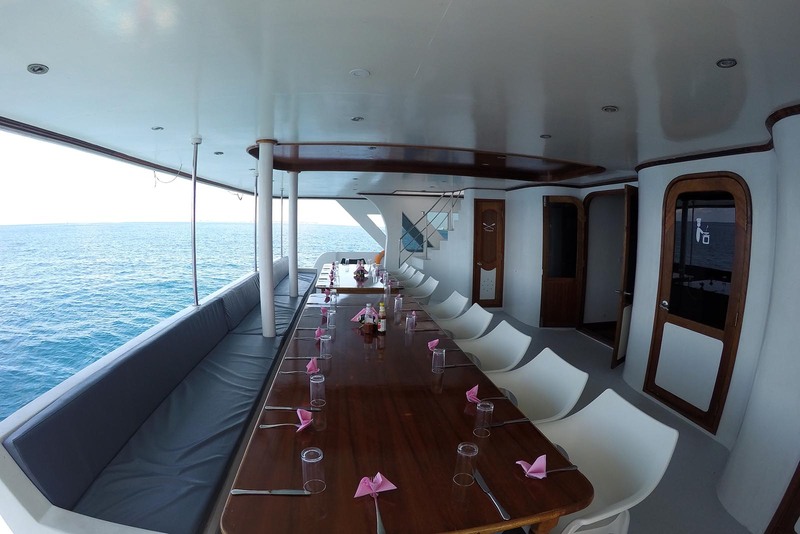 Ocean One is accompanied by a small water sports speedboat, allowing guests to enjoy some limited water sports activities and to pamper themselves a bit more, the upper sun deck is accommodated with a Jacuzzi which can hold up to 05 pax. 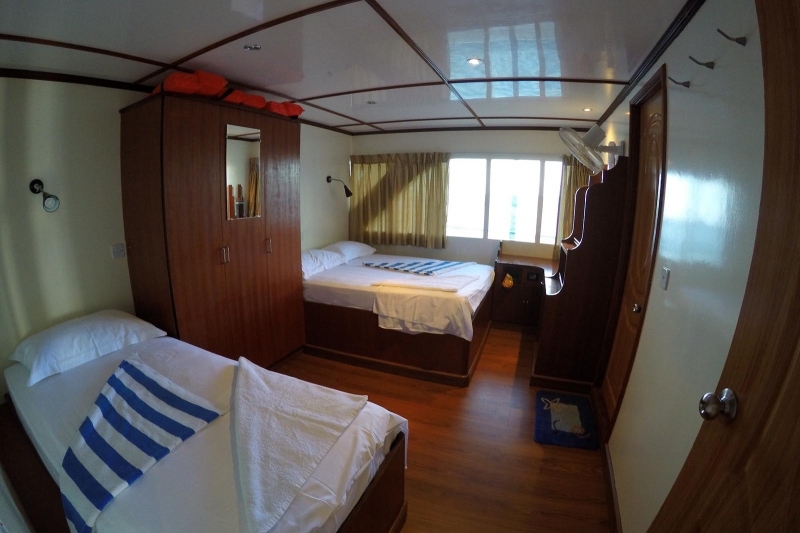 All cabins are cozy and spacious with double bed and a single, bathroom, air conditioning and hot water. The public areas are spacious and comfortable. 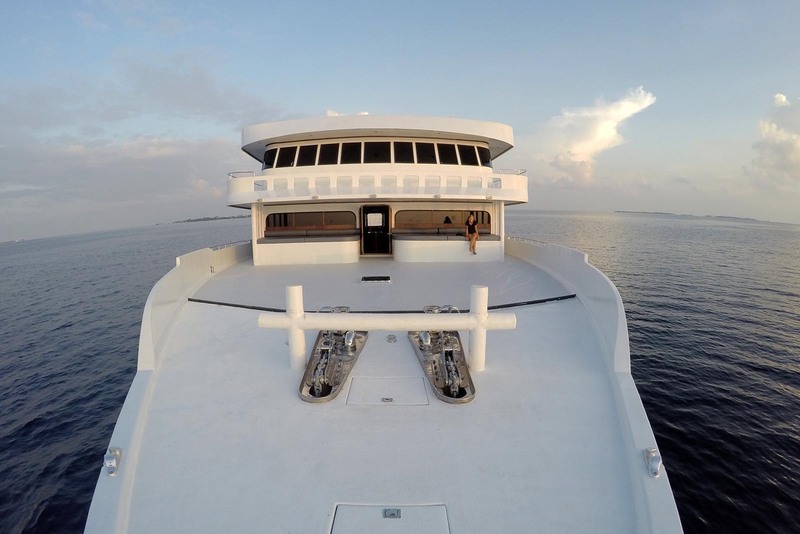 It offers all the services and facilities for the comfort and well-being of its passengers. Serving some of the freshest and most delicious foods, the Maldives is a paradise for seafood lovers. Here, you will find lobster, scallops, octopus, squid, tuna and all kinds of fish cooked in all kinds of ways. Whilst on holiday, don’t be shy. 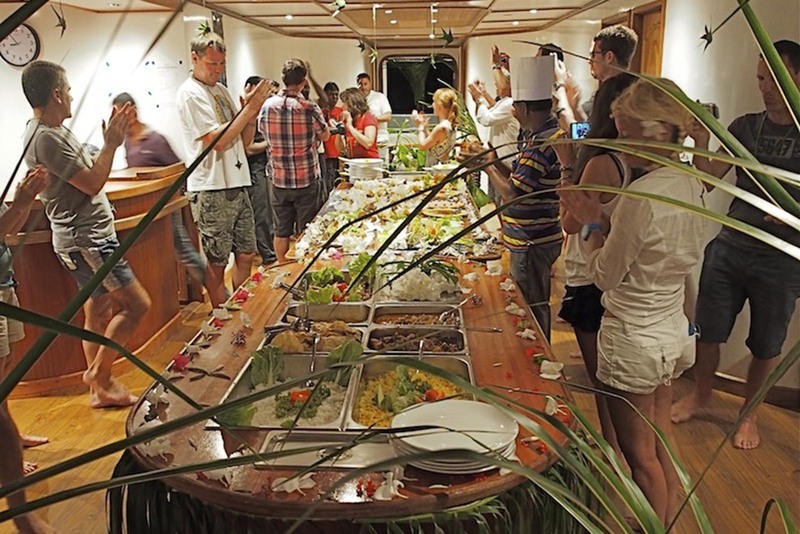 The Asian flavours of the islands often involve curry, coconut, and other spices. Guests can also partake in many different activities. 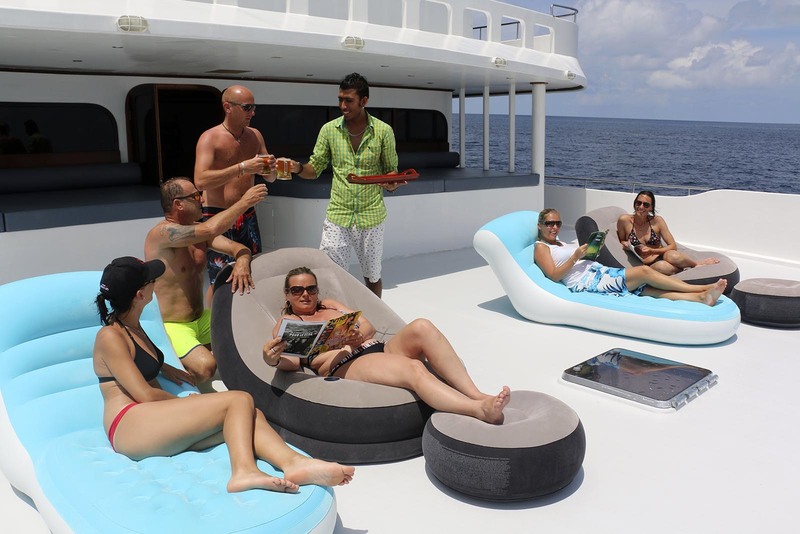 From snorkelling the beautiful reefs of Maldives, scuba diving to relaxing on the sun deck while sipping on drinks from the bar. 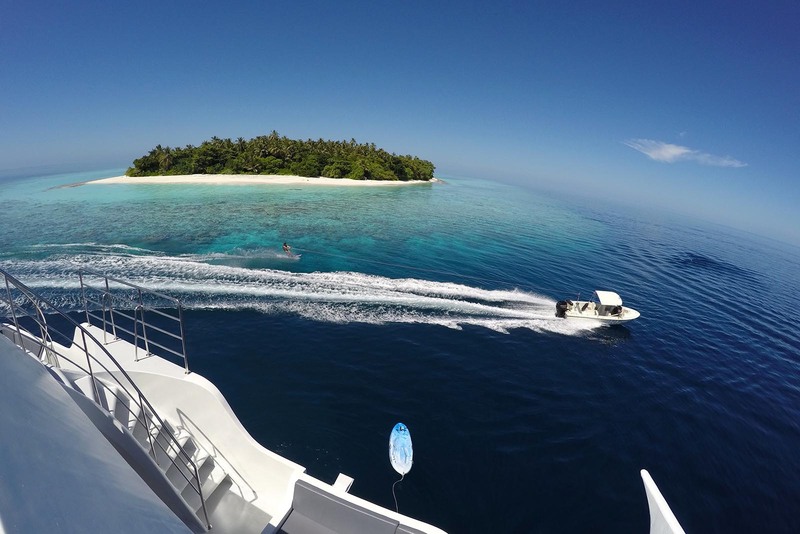 Ritrella Luxury Cruise also offer jetski and paddle boards for our clients along with island excursions, barbecues and many different experiences that can only be had on the yacht.